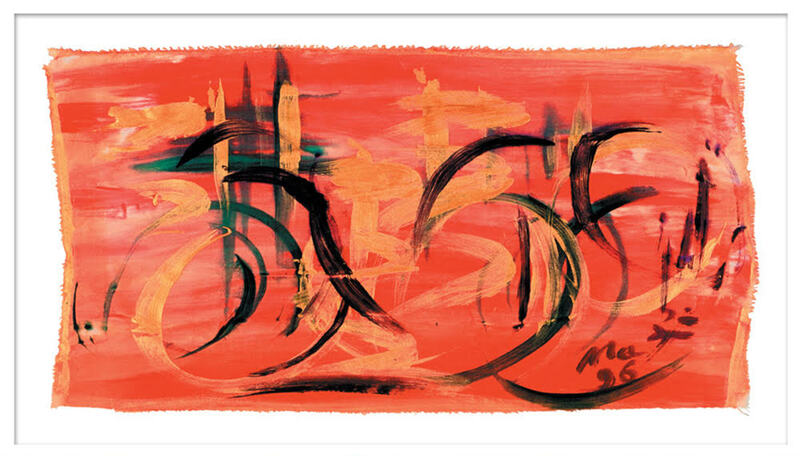 German artist, musician, writer and mystic Marlis Jermutus has exhibited her paintings in the U.S. and Europe as a successful abstract artist. My interest in her increased after I read her memoir, From Now to Now. 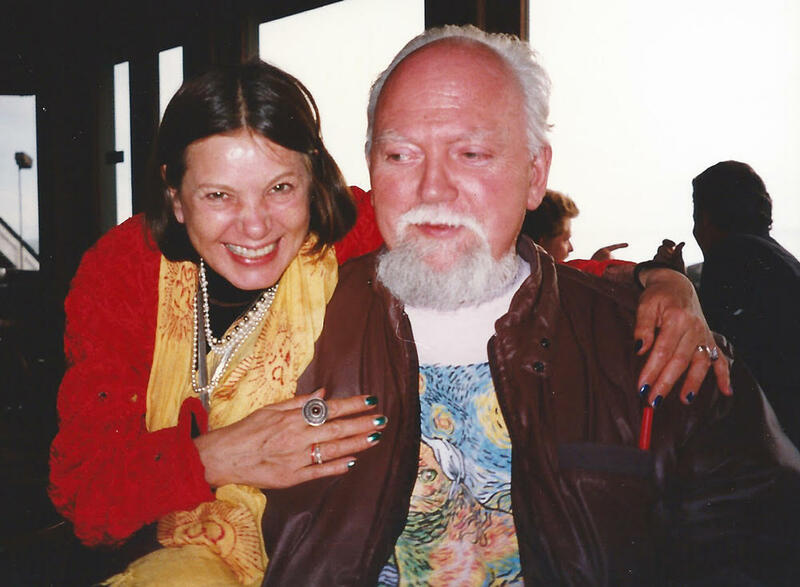 After I read the book, I interviewed her about art and her friendship with Robert Anton Wilson, figuring that many people who read this blog would be interested in reading it. A native of Germany, Marlis lives in northern California, near Mount Shasta. Aside from her art and her philosophical studies, Marlis plays in the band Starseed with her husband, Bastian, and with Rasa. The band is available on Spotify and the other usual online sources. Marlis Jermutus and Robert Anton Wilson in a restaurant. RAWIllumination.net: Do you want to publish "From Now to Now" in German? Do you think Germans will be interested in your background as an artist, and in California and the spiritual scene there? MARLIS: When I wrote From Now to Now, I sat for hours at a time with Rasa. I would tell him my story in German, with some English and Denglisch, and he would type it into the computer, translating my German and Denglisch into English, or correcting my English grammar. Over the past two years we’ve been working on translating the English version into German, and soon we’ll be looking for a German publisher. And yes, I think Germans would be interested. In recent years the Germans became much more interested in their own stories about the war, what for years many people did not want to talk about at all. In the 1970’s, Germany had a similar psychedelic revolution of thought as what happened in America, and through that change in perspective a lot of young Germans became more aware of social injustice and the need for an evolution of consciousness. That was expressed in art, in music, in philosophy, in spirituality and in politics as well. In addition, Germans have for a long time had a romantic fascination with America, especially the Wild West. California, in many ways is the new wild west many Germans look to. 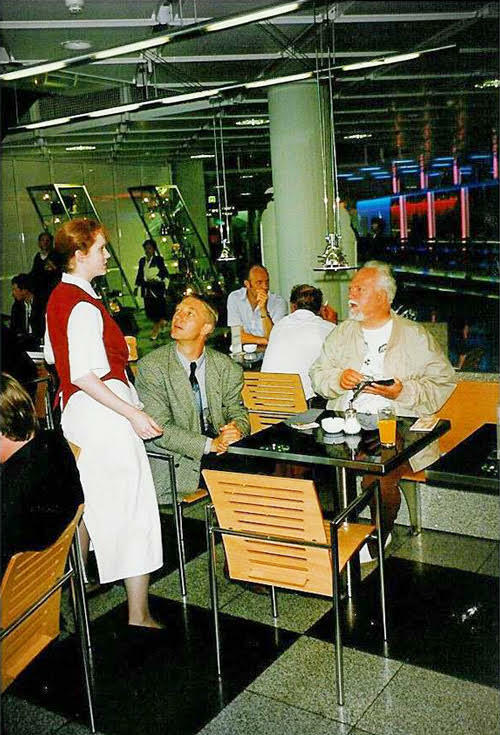 Robert Anton Wilson and Tom Sperlich, the European literary agent for Robert Anton Wilson and Timothy Leary, in a Berlin restaurant in 1992. RAWIllumination.net: How did you come to know Tom Sperlich, Timothy Leary's and Robert Anton Wilson's literary agent in Germany? How did you meet Wilson, and what did you think of him when you met? Did you introduce Wilson to Rasa? I met Bob the first time in Berlin when I was still in prison and had a weekend off. I attended a speech Bob gave at the Technische Universität. Privately later, we were talking in a small group, but I didn’t understand a word of his soft Brooklyn accent. I had read his books and so I knew something about what he was saying but at that time I was more watching his body language and seeing his soft humility and his humor. RAWIllumination.net: You are a vegetarian and you are also careful about when you eat. Robert Anton Wilson was an omnivore. Did you ever discuss food with him? What kind of food did he seem to like? Another of Marlis Jermutus' paintings. RAWIllumination.net: Are you better known as an artist in the U.S., or in Germany? Did being known as the "prison artist" help you become well known quickly? (As she describes in her book, Jermutus went to prison in Berlin after being caught up in a drug raid but nonetheless began becoming known as an artist). MARLIS: The newspaper articles about me getting special permission from the prison authorities to attend a gallery opening of my work certainly helped to bring my name to a wider audience than abstract artists usually get, but really the effect of that good publicity was more important to me as evidence to later show the judge reviewing my prison record. I wanted to show that I could be "successfully integrated back into society," and I think that did help later with the judge’s decision. While living in Germany and Ireland I had many exhibitions with a lot of press coverage, but being known means being there, and I’ve been living in America for almost two decades now. Since 2000, I’ve had one or two exhibitions every year, and have been fortunate to have buyers for my art. The Siskiyou Arts Museum in Dunsmuir, California held a retrospective of my art in 2014, featuring examples of my art from forty-four years of painting. Marlis at the Hirschhorn in Washington, D.C.
MARLIS: In Europe, the museums I most liked to visit were nearby, like the Rijksmuseum in Amsterdam, the Escher Museum in Den Hague, the Hamburger Kunsthalle in Hamburg, the National Staats Galerie in Berlin and the Hamburger Bahnhof - Museum für Gegenwart, also in Berlin. In America, I’ve gone many times to the Metropolitan Museum of Art in New York, and the Hirschhorn and the National Gallery of Art in Washington, D.C. 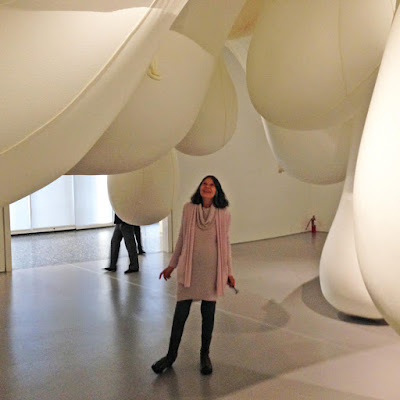 In California, I am a member of Museum of Modern Art in San Francisco, and I visit there often. Of the artists I like, German artists Boyce, Richter, and Kiefer. In America, I like all the avant garde, and especially Agnes Martin, Jackson Pollack and Pat Steir. I love the work of many other artists, mostly abstract, and of course, I like my own art. I love the feedback, at an exhibition opening, when a viewer connects to a painting. What they see in an abstract painting means something to them. On some level I have inspired an emotional or rational response. I don’t care which. I just enjoy that they enjoy connecting to the art. RAWIllumination.net: What advice would you offer to people thinking of moving to California? (In From Now to Now, she describes deciding to move to California someday under the influence of the writings of Timothy Leary). MARLIS: If people want to come to California they should be comfortable with new ideas. You may not like all the ideas, but California is fast in changing, so maybe you just wait a while and a newer idea will come along. There are a lot of opportunities for widening your consciousness here, aside from new ideas and experiences in art and science. California is beautiful, and sitting alone in such majestic, even bombastic, nature can give you the space and perspective to explore the experience of who you are separate from all the noise both inside and outside your head. Video about Marlis Jermutus made by Rasa. RAW mentioned in article about "Roseanne"